Tea Party Nation founder Judson Philips thinks the gays are using fear to push an agenda! 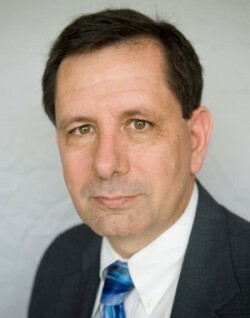 In the continuing polarization of politics in the United States, Tea Party Nation founder Judson Philips published an essay railing against the “liberal mob psychology” of gay rights groups. Philips laments the aggression of gay rights groups in going after Michele Bachmann – especially when it comes to Marcus Bachmann’s psychology practice that was recently found to provide “ex-gay” therapy. Philips, who is a criminal defense attorney, defends the Bachmanns from what he sees as “fear, intimidation, violence and mob rule” by the LGBT community. The liberal freak show is coming after Michele Bachmann. That is not much of a surprise. Bachmann is running a very disciplined campaign, encouraging conservatives and running with a conservative agenda. But now the left is coming after her. The left wants to use the gay rights issue against her. Bachmann’s husband, Marcus is a therapist and according to the left, he has committed a horrible crime. He used therapy to help gays who did not want to be gay any more change. According to a statement released by the campaign, that was not an area of specialization of his counseling practice but would do it if asked. Marcus and Michele Bachmann, according to Politico, have a history of battling gay rights groups in Minnesota. That is enough for the gay rights groups to go after her. There is more going on here than just a disagreement about gay rights. The gay rights groups are typical of all liberal groups. They do not want a debate. They do not want the other side to even be able to debate. They want to silence all debate and simply impose their will. Going after Bachmann is simply another example of the liberal mob psychology. […] Liberalism cannot stand a real debate. Liberals always lose those debates. That is why they always resort to fear, intimidation, violence and mob rule to achieve their goals. We cannot let mob rule win. Gays are using fear and mob psychology to push an agenda?!?! This is straight out of the Republican handbook: accuse the other side of doing the very thing that you are known to do to obfuscate the issue! We don’t have equal rights, so of course we’re angry! If only we had such power and strength – then we would be able to intimidate our way to equal rights throughout this great land. Get over it Mr. Philips, stop being a whiny crybaby. This is debate, and this is the great American democracy in action. If the Bachmanns can’t handle it, then maybe they should shut up and sit down!